We’re sure you’ve daydreamed of driving down the road in a new Chevy Camaro. Well, that will be a distinct possibility with the 2018 version of the model, as the vehicle is incredibly affordable (for a sports/performance car). With a starting MSRP of $25,905, many customers shouldn’t have issues fitting this car into their budget. Of course, you may be wondering why you should be opting for the Camaro over rival sports car (or any of the brand’s other offerings). Well, the 2018 version provides all of the attributes a customer is seeking in a new vehicle: performance, technology, and safety. Best of all, engineers included a number of optional inclusions in the upcoming model, meaning customers can design the Camaro to their liking. If you’ve even driven alongside a Chevy Camaro, then you’re surely familiar with how much power the model can produce. Well, that will be the same case for the 2018 variation of the nameplate, as each of the four engine offerings provide all of the muscle a customer could possibly want. The 2.0-liter Turbo engine is the smallest of the bunch, but it still manages to crank out an impressive 275 horsepower and 295 pound-feet of torque. These power specs have a predictably positive influence on performance, as drivers can expect to reach 60 miles per hour in only 5.4 seconds when equipped with the manual transmission (5.5 seconds on the automatic version). Despite these impressive power specs, the engine is still fuel efficient. Thanks to inclusions like Variable Valve Timing and Direct Injection, drivers can ultimately anticipate a 31-mile-per-gallon efficiency on the highway. The 3.6-liter V6 engine elevates those power specs, as drivers can expect 335 horsepower and 284 pound-feet of torque (leading to a 5.1-second 0-to-60 time). The 6.2-liter LT1 V8 takes those numbers to another level, promising drivers 455 horsepower and 455 pound-feet of torque. Finally, the hulking supercharged 6.2-liter LT4 V8 engine is the most powerful of the bunch, cranking out a practically unmatched 650 horsepower and 650 pound-feet of torque. This results in some of the most impressive performance specs in the entire industry, including a 0-to-60 time of only 3.5 seconds! All of these versatile options are more than capable, and customers can truly pick the offering that fits their liking. 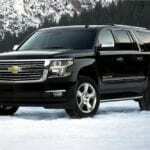 Of course, if you’re going to be traveling in such a powerful vehicle, you’ll surely want the ride to be equipped with a number of safety functions. Fortunately, the 2018 Camaro delivers, as drivers can rely on the array of features to keep them out of harm’s way. It starts with the array of preventative features, which are intended to help the operator avoid accidents altogether. Inclusions like the available Lane Change Alert (with Side Blind Zone Alert) and the Rear Cross Traffic Alert should help prevent devastating collisions, while the Electronic Stability Control will assure that you’re traveling on your intended path. Even the rear vision camera and Rear Park Assist are notable safety functions, as drivers can use these inclusions to prevent minor fender benders. In the event of an accident, the eight standard air bags should provide occupants with the necessary amount of cushion, assuring that they don’t suffer any debilitating injuries. Engineers even included clever knee air bags, thus protecting a vulnerable part of the body that often gets overlooked. The “ultra-high-strength” steel safety cage will also play a significant role in protecting occupants, as the vehicle’s construction should absorb the majority of the crash’s energy. Finally, if help is needed, drivers can turn to the OnStar Automatic Crash Response System, which will connect occupants with an OnStar Advisor. This individual will subsequently summon emergency personnel and send them directly to the site of the crash. While you’ll surely be appreciating your Camaro’s performance capabilities, you’ll also be able to capitalize on all of the interior amenities. It starts with the brand’s Chevrolet MyLink system, which is accessible via the accompanying seven- or eight-inch diagonal touch-screen. Drivers can easily access an assortment of applications, or they could connect their smartphone to the unit thanks to the Apple CarPlay and Android Auto compatibility. If you do decide to use your preferred gadget, you can keep it fully juiced thanks to the inclusion of the wireless phone charging dock. Furthermore, if you want to listen to your favorite tunes, then you can easily do so via the available Bose premium audio system. Those aren’t the only technological amenities included in the interior. Drivers will appreciate the addition of the Head-Up Display, which shows an array of important information directly on the dashboard. Thanks to this inclusion, drivers won’t have to strain their neck as they’re looking to view their speed or fuel efficiency. Meanwhile, your passengers will surely appreciate the 4G LTE Wi-Fi, which provides a strong wireless internet connection for up to seven devices. If your occupants are required to complete work while on the road, you won’t have to take a pitstop to a cafe. These technological features also influence convenience. For instance, the Memory Package will be especially useful if you’re going to be sharing your car with another driver. The technology will remember your ideal seating position, and the driver’s seat will automatically move into the preferred placement when you take the wheel. Meanwhile, if owners want to stay connected to their sporty ride, then they can utilize the myChevrolet Mobile Application. This program allows owners to remotely access their vehicle at any times. Whether you want to lock/unlock your doors, start/stop the engine, or even send directions directly to the MyLink system, it’s all possible via your smartphone. Next post: Can the Acura NSX Change a Man? Previous post: Chevy: Ideal for Dump Truck Upfitting?